After personally experiencing the eye of category four Hurricane Charley and the severe damage it brought to my own home and to those of my neighbors, I was motivated to protect my home. After interviewing three companies I was disappointed by the quality of the products and unexpectedly shocked by the lack of knowledge and professionalism, by amateur, unrefined operators with a surprising lack of product knowledge, professionalism, branding image, and customer service. It was clear that the public was desperate for a firm with knowledgeable personnel offering proven products a professional image and business system in place for successful implementation. 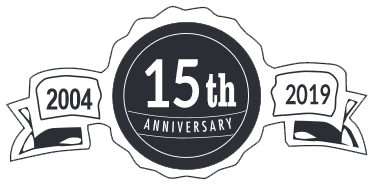 In a market where weak competitors fail at alarming rates, often leaving their clients stranded, our own business has continued to prosper. We have become the most successful, dominant force in our industry. 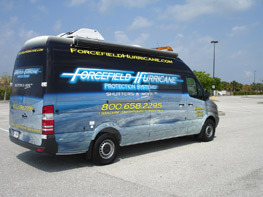 Investing in protecting your family’s home and property against nature’s uncertainties requires choosing the best company to handle those needs. 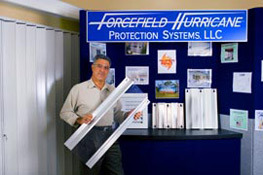 Forcefield’s variety of products and knowledgeable safety consultants a selection to fit every budget makes us the best choice to protect what is most important to you. We can help fortify your home to Fort Knox standards as well as take trade ins of products you may wish to upgrade, which we will donate to the needy. Our trained safety consultants will provide expert advice and options at no charge to you. 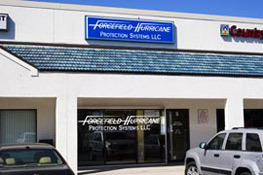 Please feel free to stop by our retail showroom and take a look at the vast assortment of products we have to make your home the safest on the block or call for a free consultation and we’ll bring the showroom to you. Thank you for the opportunity to provide outstanding service.